eTCS – Ecumenical Techno Consultancy Services is a website designing company in Dubai that offers genuine website design solutions across Ajman, Sharjah, Abu Dhabi, and the Middle East regions. 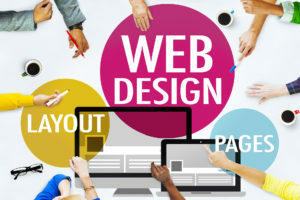 We are creative web design agency, crafting unique and beautiful web spaces.Our strategic website design process focuses on winning visitors from their first click to the conversion into- a phone call, contact form, and online purchase. With crisp & intuitive designs, we market your business to reach the target audience in the most effective ways. So as you can use us for SEO services too! As more people are using mobile devices for browsing website. It’s become increasingly important that a website is mobile-friendly. At eTCS, we ensure users have a good viewing experience on all type of devices they’re using. We design responsive websites that are always available and work effectively whatever device they are viewed on. Our professionally designed responsive websites load faster than a mobile website – saving valuable seconds. At eTCS, we help you showcase your products beautifully with professionally built eCommerce Website Designs. We design best e-commerce website on the internet, turning it into your most effective online selling tool. We design easy-to-navigate, conversion-oriented sites that enhance functionality, improve user experience and capitalize on up-sell opportunities. Microsites are the perfect solution for businesses and is a fraction of the cost and much faster to launch. At eTCS, we design affordable & fast website Solution-Microsites Designs. We help you to use them to highlight a specific campaign, target specific buyer personas, to tell a short story, or to inspire a specific call-to-action. We design microsites tend to be rather simplistic and easier to navigate. A logo gives a unique identity to a business and helps people instantly recognize the brand. At eTCS, we craft custom logo design that perfectly reflects the objective and spirit of a business. As the best logo design company in the UAE, we at eTCS provide innovative, unique and creative business logo design at the most affordable prices.